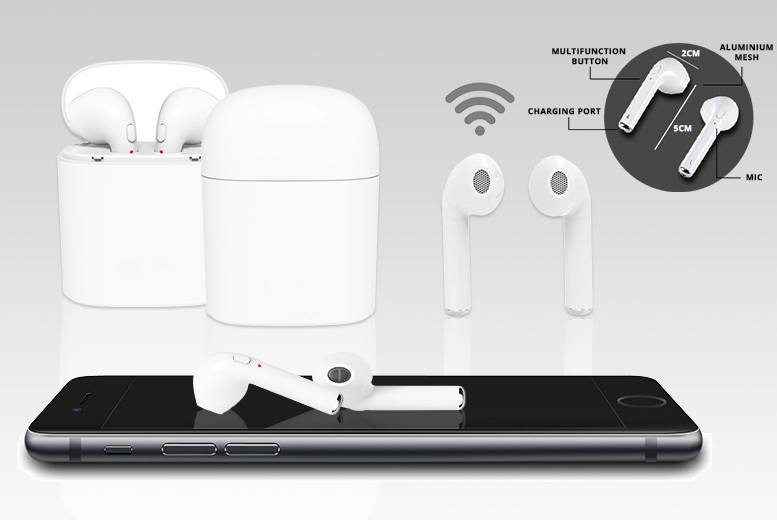 Get a pair of Apple-compatible wireless earbuds with charging case. Sweatproof construction offers protections while you run, bike, hike and more. One-button response to phone calls, Bluetooth pairing – compatible with a range of phones.